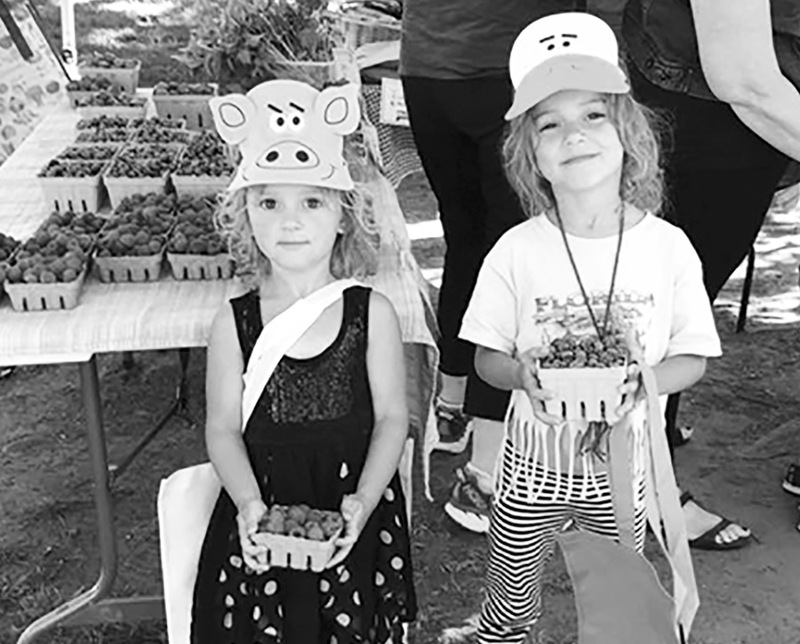 Carefully exhibiting their purchases at a recent Farmers Market are Quinn McCabe, 4, (left) and her sister Ryleigh, 6. The Market will carry on every Saturday 9 a.m. until noon through October 7 with the exception of September 8 when they make way for the Suffield on the Green festivities. Plan to come on over to the South Green and buy some of Cupola Hollow’s great selection of jams, pickles, fudge, bake goods and more. Merry Mite Wild Gardens has wonderful landscape items and beautiful cut flowers. Maplewood Farms will be there with their vegetables and plants. Easy Pickin’s will have vegetables and fruit and Bielonko Farms brings their vegetables and corn. Sign up as a Friend and get a free grocery bag! Come support our local farmers and crafters. We have a brand new Facebook page to replace our fifteen year old one!! Like us on Facebook and check out the great pictures! We do welcome local nonprofit groups to have space at the Market. Contact Ellie Binns at elliebinns324@gmail.com or ebinns@suffieldct.gov Call Ellie Binns at 860-668-3848 or 860-668-2781.